While there are countless weddings taking place every year, perhaps even every week, every wedding is unique and totally personal to the happy couple. While there are many traditional aspects of the wedding day that can be found in a high volume of weddings, there is no getting away from the fact that the wedding day itself should be all about the happy couple. This is why opting for a personalised style of wedding invitation is a smart choice. The personalised gatefold silver flora wedding invitation from Chapter One Press is the sort of invitation that tells you everything you need to know in its title. The silver foil on white background provides a nice yet understated design but if you were worried about the appearance of the invitation being too subtle, don’t be. 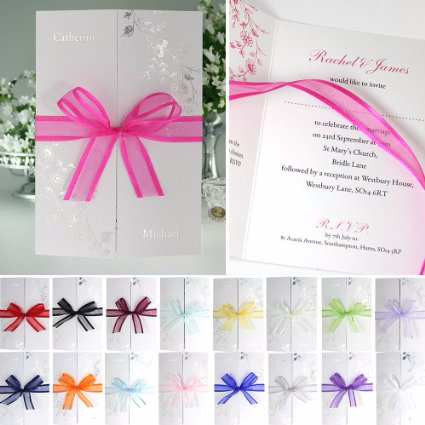 This is because the bow that runs across the card creates an eye-catching finishing touch that means no one will overlook or forget about your big day. The names of the happy couple are included on the front and the inside of the card, which opens out, will provide all of the important information for the big day. 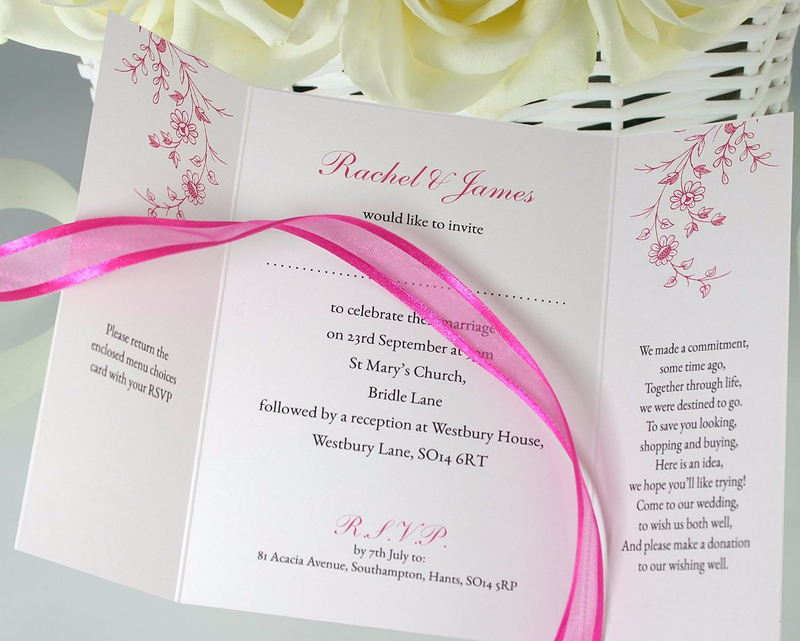 There is the option to place text on the inside of the invitation and on the inside of the flaps of each card. Any happy couple looking for a stylish and functional card will find that this personalised card provides them with everything they could want or need. When it comes to marking the happy occasion in the most effective manner, there is a great deal to be said for stamping your own sense of style across the happy day.